Home Guest Posts What does it take to get a disabled child to preschool? 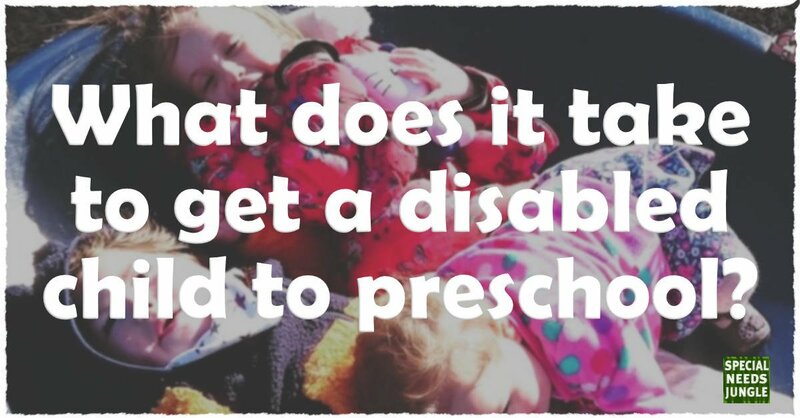 What does it take to get a disabled child to preschool? In our summer SEND blogger showcase, we featured Alex Davey's blog, The Long Chain. Alex has three children, the middle of whom has an undiagnosed condition other than being "a complete charmer". Benjamin was born with severe and complex needs including microlissencephaly, quadriplegic cerebral palsy and epilepsy. The family live in Scotland where Alex also works as a botanist and science writer. This morning, like every other morning, my five year old went to school, my one year old went to nursery, and my three year old went to preschool. Before she could go to school, my five year old needed her apple juice poured, her school uniform laid out and her pony-tail done. I walked her to school and she went running in with her classmates, without a backward glance. Before she could go to nursery, my one year old needed her cereal prepared, her nappy changed and her face washed. I pushed her to nursery in the buggy and she went toddling in to greet her keyworker. ‘Buh-baye mama,’ she said. His Dad got up at 0600 to deal with an error causing his feed pump to beep. At 0700 I switched off his overnight jejunostomy feed, flushed his tube, changed his bile-bag, and drew up and administered his first set of morning medications. I dismantled the sleep system which keeps him safe overnight and prevents his body becoming permanently twisted, brushed his teeth, washed him, cleaned his stoma, changed his nappy, removed his wet pyjamas, stripped his bed, dressed him, brushed his hair and carried him (all twenty kilos of him) downstairs. I gave him two puffs on his salbutamol inhaler, carefully counting ten breaths after each. Then I prepared and administered a ten-minute hypertonic saline nebuliser. Nebuliser done, I washed the saline mist off Benjamin’s face and performed twenty minutes of chest physio to clear the secretions that had been loosened by the saline. Following that I performed nasopharyngeal suction to remove the secretions. I prepared and administered another set of medications. I mixed up his solution of cooled boiled water, specialist formula, and dioralyte in the correct proportions for his daytime feed, and set his feed pump settings. I transferred him (again, all twenty kilos of him) into his wheelchair, sneaking a cuddle as I did so. At 0815 his clinical support worker arrived [Benjamin needs one-to-one support at all times to ensure his airway remains clear and his body temperature remains stable] and checked that all equipment and documentation was in order for the day. During this time Benjamin required nasopharyngeal suctioning again … and again. I stocked up his suction pump with additional catheters, just in case. At 0830 a taxi arrived to take Benjamin and his clinical support worker (and his nappies, medications, syringes, feed pump, suction pump, catheters, blankets, extra clothes, and paperwork) to his preschool twenty miles away – the only preschool in the county that is able to meet his medical and educational needs. I wheeled him into the taxi and kissed him goodbye. But that’s not all that had to happen before my son could go to preschool. Because the preschool teachers, although brilliant, super-dedicated and very willing, are not confident to meet Benjamin’s healthcare needs, I had to persuade our local education authority and NHS Lothian to provide a clinical support worker to care for Benjamin at preschool (for the two terms it took to arrange this, I went with Benjamin myself to ensure that he didn’t miss out on an education but was at the same time safe). I had to write letters and emails and attend meetings and make phone calls to the education department until they agreed that Benjamin needed this support. Even once the local authority agreed to fund a support worker, I had to write more letters and complete ‘decision-making tools’ and ‘document interventions’ and make more phone calls, to convince NHS Lothian that he met their criteria for support. Once a clinical support worker was finally appointed, a specialist physio and a community children’s nurse had to complete training sessions with her to ensure she was competent to care for Benjamin. Finally – but by no means easily – numerous pieces of paperwork had to be signed by numerous different individuals to confirm that the support worker was indeed able to provide the care that he needed. Before Benjamin can go to preschool, he has to have a comprehensive, regularly updated care plan, complete with seizure protocol, asthma protocol, respiratory protocol, tube-feeding protocol, and a form for each one of his many medications. 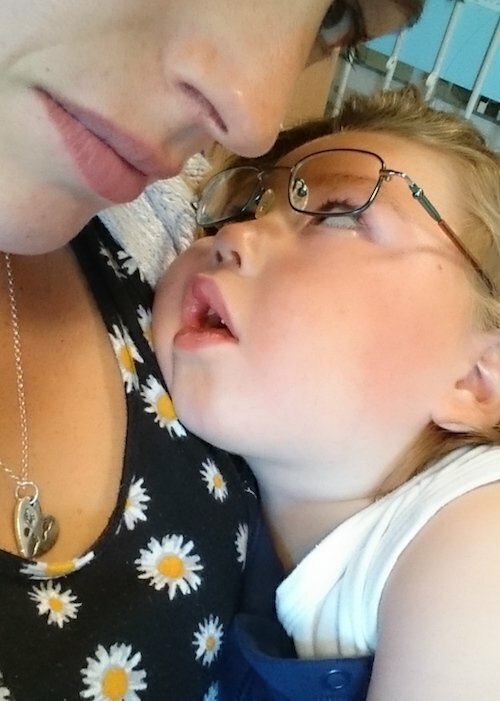 We still do not have permission for Benjamin’s clinical support worker to be able to administer his medications including potentially life-saving rescue medications: at present this has to be done by teaching staff or, if a seizure occurs on the way to preschool, he has to be driven back home to me! This is how we get Benjamin to preschool, which he loves, and where he is thriving and learning and developing every day, and I don’t begrudge him one second of it. Then I grab a cup of coffee, switch on the radio, and get on with my day-job*. *That is, after I have washed all his syringes, nebuliser, and other equipment, washed his soiled sheets and remade his bed, boiled water for his flushes and feeds, arranged or collected repeat prescriptions, and dealt with letters, emails, forms and phone calls about his health and education, equipment and adaptations, of course. What's your morning routine with your SEND child or young person like? Add your comments below on the blog itself please so more readers than just those on Facebook can see. Post-Rochford, will primary SEND really improve?